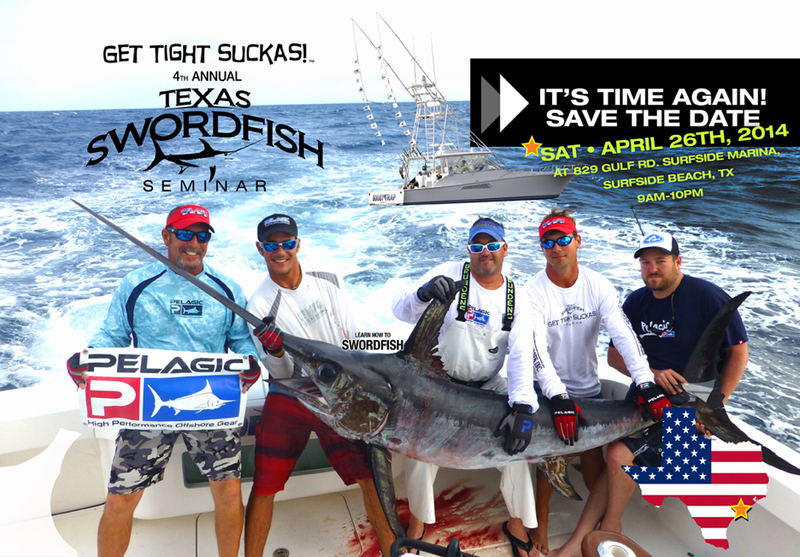 On April 26th, 2014, the Booby Trap Fishing Team, consisting of Captains Brett Holden, Jeff Wilson, Travis Joyce, and Matt Reed, hosted the 4th Annual “Get Tight Sucka” Texas Swordfish Seminar. 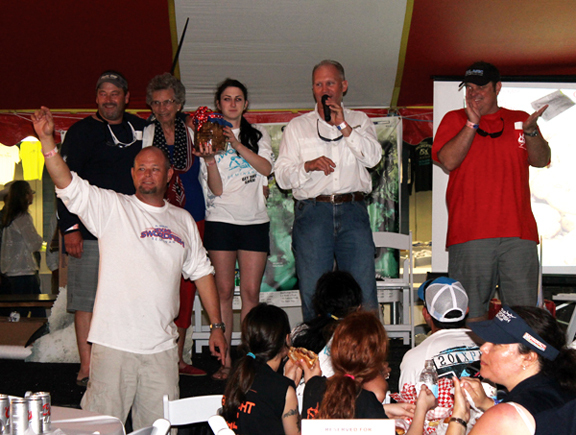 The event, held each year at Surfside Marina (near Freeport, TX), serves two purposes – first and foremost, raising funds via silent and live auction to be directly donated to “Everday Heroes Inc.” Veteran’s Organization; and secondly, to provide valuable information, tips, and tricks on swordfishing in the Gulf of Mexico. 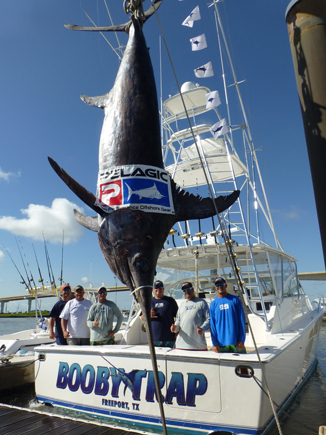 Pelagic Pro Team Captain, Brett Holden, and the crew of Booby Trap have become world-figures in the sport fishing community, posting mind-boggling stats on swordfish catches in the Gulf (including an incredible 30-fish trip in June 2013), while also boasting the current Texas State all-tackle swordfish record of 493-pounds. And while all these accolades are impressive, the number that really matters to the team is the amount of funds raised and donated to the veterans each year through the Texas Swordfish Seminar. This year’s total broke $400,000, all of which will be used to provide transportation and to purchase electric wheelchairs for our courageous veterans. BELOW: Grandma's cookies were live auctioned for an astounding $36K // Texas State All-Tackle Record Swordfish landed on June 2nd, 2013. Top grossing auction items each year include: a swordfish trip for two aboard Booby Trap ($37,000) and, believe it or not, a jar of grandma’s cookies ($36,000). Pelagic and The Waterman’s Journal would like to say thanks to all the veterans who serve and sacrifice for our freedom, and to the Booby Trap Fishing Team for organizing this great event which gives back so much to those in need.